Today I would like to introduce The Black Rose, aka Alexandra, who has kindly taken part in an interview with author and blogger Sarah Jane Butfield. If you enjoy the feature be sure to share or retweet the link. 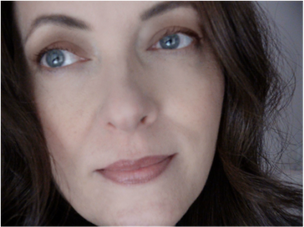 Hello Alexandra and welcome to Rukia Publishing. Thank you for taking part in our meet the author feature. What was the inspiration for writing The Yugoslavian? The look in one man’s eyes. Any reader who enjoys stories about honor, doing the right thing, standing up for the underdog, and true, honest love. Not giving up control to someone else’s idea of what your book should be. I notice you don’t ask what the worst aspect of self-publishing is. That would be far too risky Alexandra, stay focused on the positives I say! How long did it take you to write The Yugoslavian? In my head about an hour. In physical form, the book was there in about 25-35 days; however, I let it sit for years until I felt it was time. Wow, that's awesome, you are prolific! Yes, the only book, The Bible. Everything that could possibly happen is in there. My favorite author is John. What are 3 of your favourite lines/quotes from The Yugoslavian? “But boys that are thieves grow up into men that are thieves, and there is no honor in theft,” he added very seriously. 24/7. I don’t actually stop writing. I think of things all day long and sometimes at night as well. That’s why I keep my iPad next to my pillow. I wake up, I think of something, and I email myself notes. I can totally believe that, I do the emailing of notes to myself too! I’m always reading The Bible. It’s more of a study, than a read. Other than that, my reading consists of research for novels. Currently, I am researching the Roman Empire, and the religious wars between the Ottomans and the regions of the Balkans—both for upcoming novels. This is probably a silly question, after your answers to the previous questions, but do you take time off when you finish a book or do you start the next project straight away? No time off. I sometimes work on books simultaneously. But when I’m editing, I lock down on one book and keep editing it until it’s right. This series details the life of Ives Andrich, a very powerful man in the FBI, whom, through an unfortunate series of events, involves the woman he loves in his cases. The series deals with effects of mistakes made by both Ives and Allina, the hero and heroine. The first book in the series contained more action; this second book is more cerebral. Because I established the characters in the first book, there is more time for recollection and introspection by the characters. The reader hears more of what the hero is thinking versus watching him act or should I say react. I keep pushing out The Chase’s release date until I know it’s how I want it to be. I will release it very soon. I am also working on The Denial http://www.theblackrosenyc.com/Books/The-Killing-Game-Series/The-Denial/the-denial.html Part Three of The Killing Game Series. 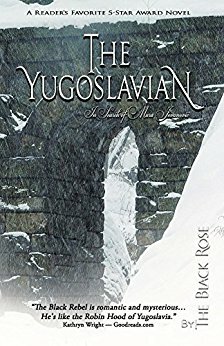 And I am working on The Black Rebel http://www.theblackrosenyc.com/Books/The-Yugoslavian-Series/The-Black-Rebel/the-black-rebel.html Book Two in The Yugoslavian series. After these, the list continues. There’s always a project coming to the forefront. Alexandra, thank you so much for such an honest, refreshing interview. We look forward to reading more from you on our blog very soon! !